Bolle Cobra Spectacle safety glasses, have a large clear lens for excellent eye safety. There are colour options for this pair of safety glasses – clear, smoke, or twilight (light brown). The Cobra frame is available with a strap but this one has normal sides. Order your new Bolle Cobra Spectacle online TODAY. 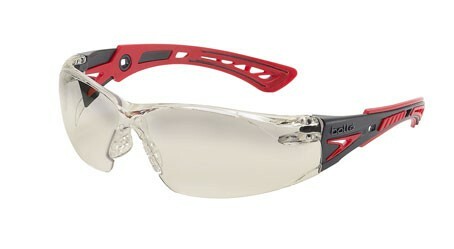 Bolle safety glasses Cobra, have a large clear lens for excellent side protection. It has normal glasses sides/temples for comfort and style. The gasket pictured isn’t included in the simple cobra frame, you need to buy the cobra seal frame to have the gasket and positive seal. 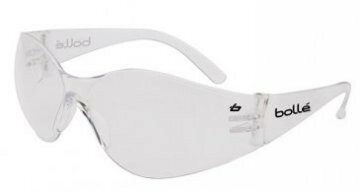 Order your new clear Bolle Cobra safety glasses online TODAY.